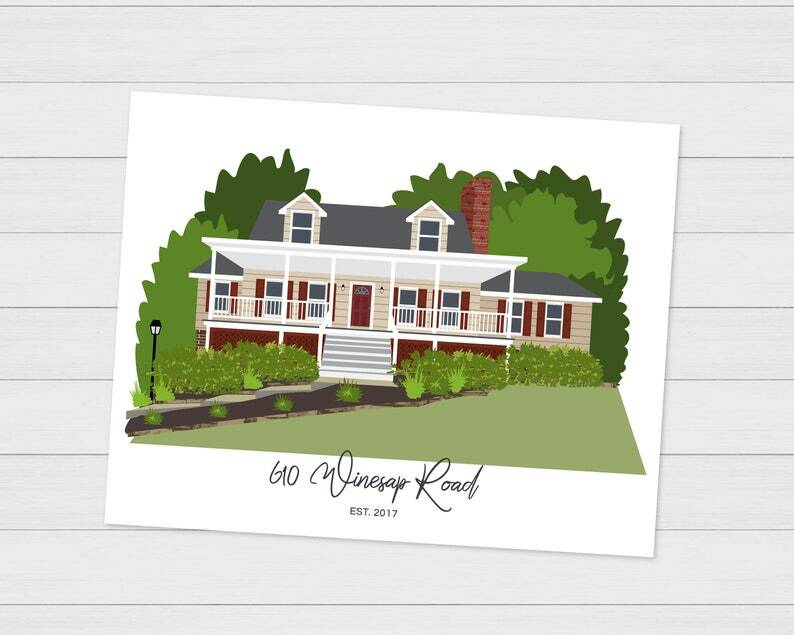 A custom home sketch using a photo of your home will make a great gift for anyone in your life. Whether it's a first home, a home in the family for generations, the cabin at the lake or even the house Grandpa built, this the best gift they will get this year! Always get a great product from this shop- love it!! It turned out perfect!! Thank you!! One of the best gifts I've gotten for my wife and something I will always treasure. They did a great job framing, too!